I had a blast on another jam-packed day in Maui. We started the day with the wedding rehearsal, in the beautiful Seaside Chapel of the Grand Wailea. Then the bride and groom treated us to a delicious breakfast at the Grand Dining Room. Afterwards, the bride and bridesmaids headed out for a shopping outing at the Shops at Wailea, followed by a delicious lunch at Tommy Bahama's. There, she revealed the gift of crystal and pearl necklaces, earrings, (and bracelets from JS!) that we would be wearing during the wedding. So pretty! But the highlight of the day was the incredible Grand Luau at Honua'ula. A group of eight wedding attendees all sat together, front row center, for this extraordinary evening event! 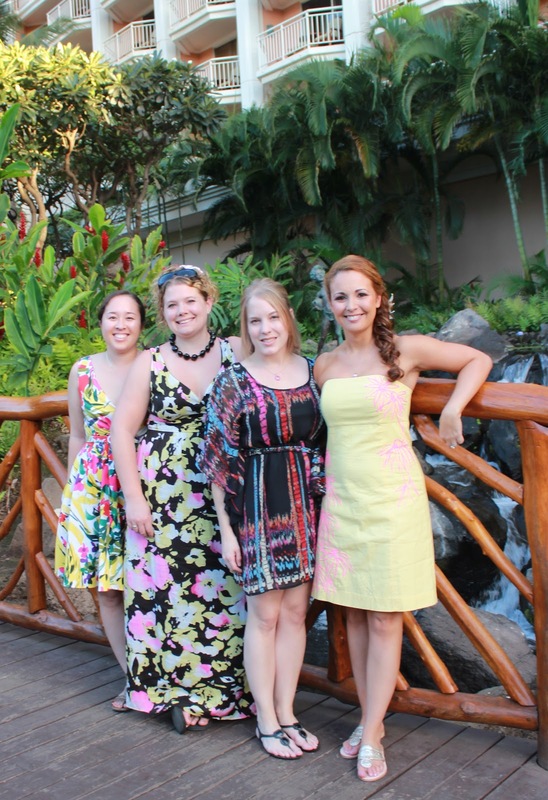 We watched the slow roasted pig emerge from the ground, drank all the mai tais we would handle, and took part in the delicious buffet of Polynesian fusion. We even got some fake tattoos! 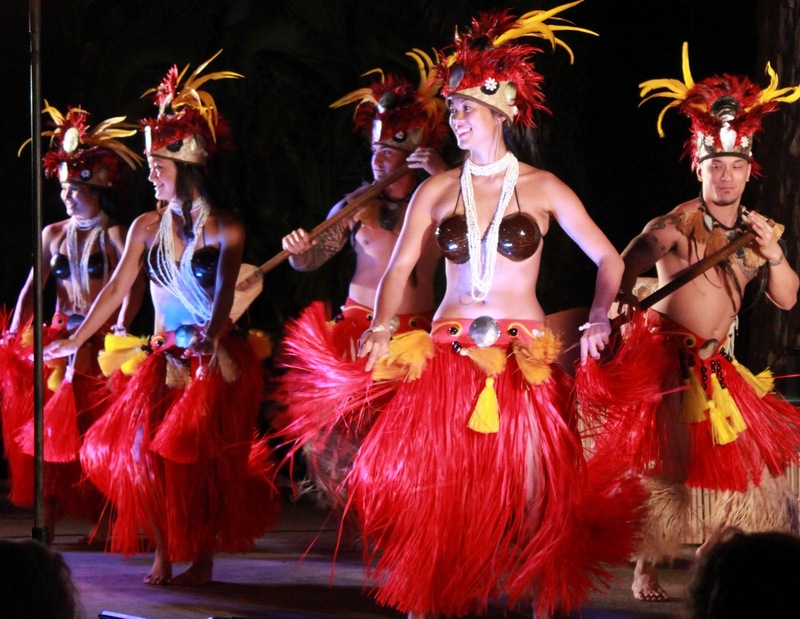 Then it was time for the show, featuring traditional dances from all over Polynesia, including fire dancing. I'd been to luaus before, but never so close up! LC, PD, and VB even got up for the hula lesson. It was definitely an evening to remember.